This CD is fantastic! I was intrigued by the combination of classic rock songs played on the violin and knew it was something I wanted to hear! I attempted to play the violin when I was younger and begged my mother to let me stop. My fingers were calloused and it was difficult. She made me hang in there for two years before allowing me to stop. So I know how difficult the violin is to play and am amazed at Jenny Oaks Baker's talent! I've listened to this CD several times and my two favorites are Kashmir/Four Seasons and Pinball Wizard. I love to put it on in the background and find it uplifting and motivating. I will definitely listen to this over and over! Classic Rock + Classic Violin = Happy Music Lover! In elementary school, I was the nerdy kid who spent Saturdays at the symphony or sometimes the opera. In high school, when I wasn’t busy with marching band, I was glued to Top 40 on the radio. So when I heard Jenny Oaks Baker’s violin rendition of “Stairway to Heaven” by Led Zepplin, the original version of which still graces my playlist, I was in music lover’s heaven. This album is a definite hit for me. Since receiving the album a couple of weeks ago, I have listened to it at least a half dozen times, including as I write this review. While I love music, I have to confess to being only a passable musician and the violin never made my short list of instruments (I have a child, though, who is working on mastering the instrument, so all is not lost). I believe my true musical blessing was the gift of enjoyment. And this is definitely an album to enjoy. This CD is such a refreshing take on all these classics that I have even added it to my car collection, which means it will continue to be listened to a LOT. After seeing the titles of the songs on the album, I was skeptical that it would be something I would like. I have to say I was happily surprised. 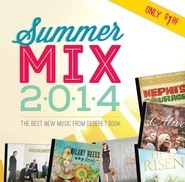 It's a fresh and fun take on some favorite songs. I will enjoy this over and over! I really didn't think this would be music I would enjoy. I'm familiar with Jenny's more typical music, but don't listen to it very often and was skeptical that a violin would fit with songs that are so rock oriented. I was wrong. 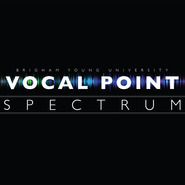 It is really entertaining and great to hear classic (classic meaning well-known, not "classical") songs in a new light. In my opinion, it's a project well done! First off lets start off with how beautiful she is, and those fabulous red shoes. I am a shoe sucker..hehe. When I saw this CD come up for review I jumped at it. I love the violin, it's a beautiful instrument. I love orchestra music as well, it is powerful. This is an amazing CD. Every song on this CD is beautiful. There is just something so powerful about her playing, and the orchestra behind her. I just want to close my eyes and drown in the beauty of the music. Probably not a good idea because I have it in my car..hehe. I could listen to this CD all day. Everybody Hurts by REM was one of my favorite songs, hearing it played by Jenny Oaks Baker is just amazing. Every song on the CD is breathtaking to me. I get the chills when I listen to orchestra music. I don't know why, but I do. It's powerful and beautiful. I especially love the violin. I am amazed at Jenny Oaks Baker's talent. NOW, onto my FAVORITE part of this CD!!!!!! Guns & Roses was one of my favorite bands growing up. I believe that all classic rock (and Hard Rock) should be played by an orchestra. When the song came on I was like a giddy little school girl. I didn't think that a "hard rock" song could sound so beautiful. Lets just say, I put it on repeat like 7 times after that. It is A MAY ZING. So so beautiful. 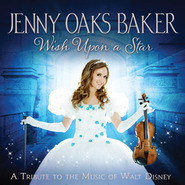 I have to be completely honest I had never heard of Jenny Oaks Baker before this CD came up for review. Man, have I been missing out. She is a talented and beautiful woman. 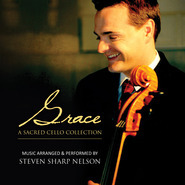 If you like the violin and orchestra music you need this CD! The power behind her playing is just spell binding. 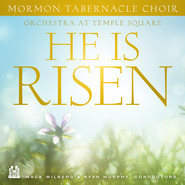 Source: Thank you Shadow Mountain Records and Deseret Book Company for the opportunity to review this breathtaking CD! 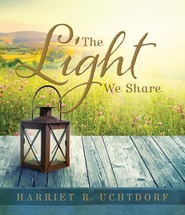 I am not affiliated with Shadow Mountain or Deseret book in any way. I was not compensated for this review. These are my own PERSONAL thoughts on the CD.. I'm not sure what I can say about this album, except that it's amazing! I highly recommend you listen to it yourself because nothing I say will be adequate. I've always enjoyed violin music and those who make it. Jenny Oaks Baker is one of my favorite violin musicians and this album just re-enforces that opinion. I was a bit surprised at some of her music choices, but after listening to them realize that she chose well and plays each piece beautifully. Highly recommended.